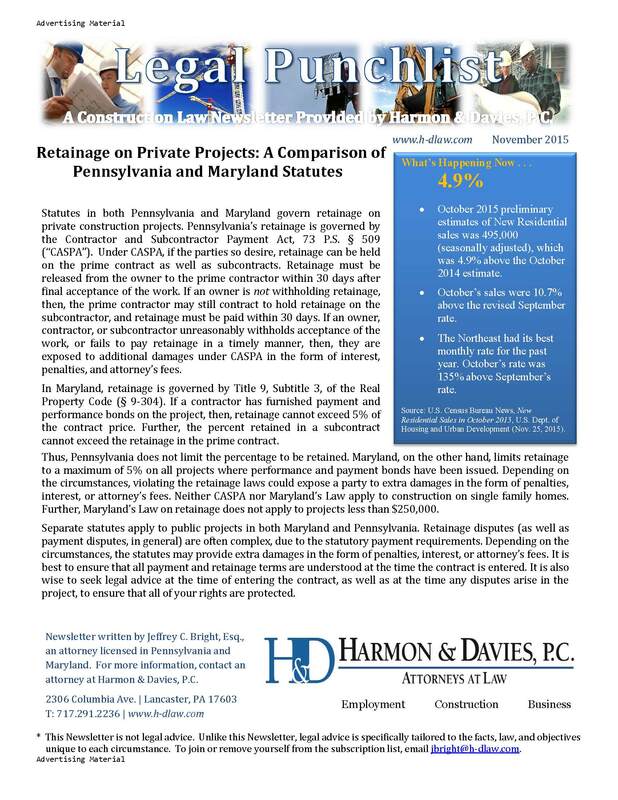 Pennsylvania’s Prompt Payment Act states that “once a contractor has made payment to the subcontractor . . . claims for payment against the contractor or the contractor’s surety by parties owed payment from the subcontractor . . . shall be barred.” The Contractor and Subcontractor Payment Act provides similar (but slightly different) language. This is referred to as the “safe harbor” clause. In 2001, to the pleasure of the bonding industry, the Pennsylvania Commonwealth Court opined that the general contractor’s payments to the subcontractor barred a claim by the sub-subcontractor on the payment bond. Trumbull Corp. v. Boss Const. Inc., 768 A.2d 368. 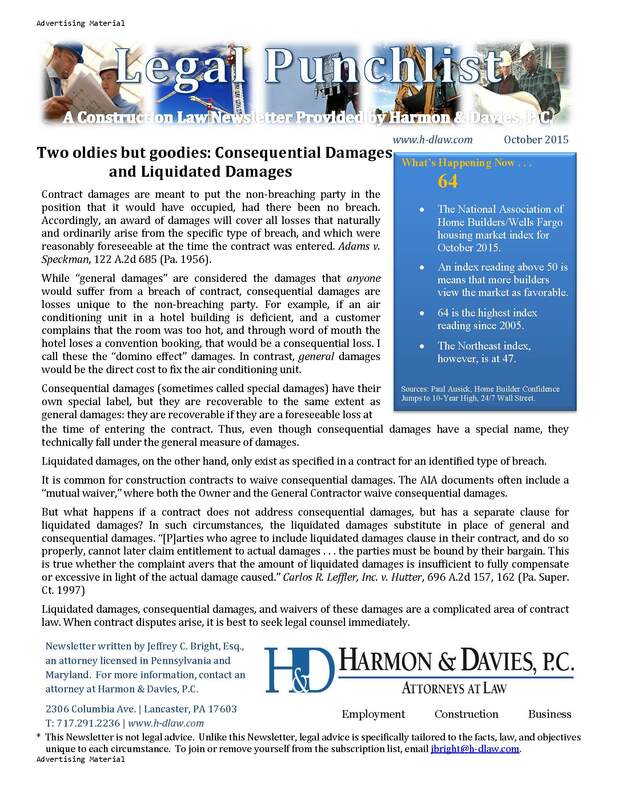 The court held that the Prompt Payment Act’s language absolved both the contractor and the surety of liability. Even though the subcontractor failed to pay a sub-subcontractor, the claim on the bond was dismissed. [T]he payment bond drafted by [Surety] . . . provided that the bond shall remain in full force and effect until such time as both [General Contractor] and any subcontractor . . . make full payment for any labor and/or materials . . . .
[Sub-subcontractor] was entitled to seek recovery under the Bond Law, and the “safe harbor” provision would generally be applicable to [General Contractor]. However, an issue arose as to whether the language of the payment bond . . . waived this provision. Point being: the Prompt Payment Act’s “safe harbor” clause is still effective. But the bond should be written carefully, to reflect that payment from the Contractor will extinguish the bond obligations. If the bond states that payment by the Contractor and all Subcontractors will extinguish the bond, then, the court might treat it as a Berks Products bond, and hold that it waived the “safe harbor” provision. When issues pertaining to payment bonds arise, it is best to seek legal advice early and often. Indicators of new residential construction were improved, comparing Feb. 2016 to Feb. 2015. Building Permits: Feb. 2016 is 6.4% above Feb. 2015. Housing Starts: Feb. 2016 is approx. 30.9% above Feb. 2015. Housing Completions: Feb. 2016 is 17.5% improvement. Source: U.S. Census Bureau News, New Residential Construction in February 2016, U.S. Dept. of Housing (Mar. 16, 2016). Included in the budget signed by Congress and the President on November 2, 2015 was an increase in OSHA penalties. This is the first time OSHA penalties have increased in 25 years. “Serious violations” and “other than serious violations” previously were a maximum fine of $7,000; they are likely to increase to a maximum fine of $12,600. “Willful violations” and “repeat” violations previously were a maximum fine of $70,000; they are likely to increase to a maximum fine of $126,000. These new fine amounts will go into effect once OSHA issues a final interim rule, confirming the new fine amounts. The rule will go into effect by August 1, 2016, at the latest. In the meantime, OSHA has continued to vigilantly enforce the standards. This month, a Lancaster County residential homebuilder was cited $64,400 in proposed penalties. The majority of the fines arose from two willful citations. One willful citation for $28,000 arose from three separate uses of forklifts to create a scaffold without proper fall protection. A second willful citation of $28,000 was for employees installing roofing shingles without the proper use of fall protection. When creating a safety program, it is best to rely upon specialized consultants. When resolving or defending OSHA citations, it is best to seek legal advice. Safety has always been a priority for construction companies; now, with the increase in fines, properly handling OSHA citations is too. 2015 Increase in private construction spending. 2015 had private construction spending of $806.1 billion. 2014 had private construction spending of 717.7 billion. Source: U.S. Census Bureau News, December 2015 Construction at $1,116.6 billion annual rate, US Dept. of Commerce (Feb. 1, 2016). Unemployment rate for December 2015. Construction gained 45,000 jobs in December; a third straight month of job gains. 263,000 construction jobs were gained in 2015. Source: U.S. BLS, News Release: The Employment Situation – December 2015 (Jan. 8, 2016). So You Want to Litigate – What Happens Next? Going into a lawsuit, it is important to understand the process. Some clients think that once a lawsuit is filed, it is only a matter of time—perhaps days, or weeks—before the claim is resolved. That happens sometimes. But not always. Lawsuits generally have three phases: Pleadings; Discovery; and Trial. Each phase is distinct, but the timing of Pleadings and Discovery sometimes overlap. In the Pleadings phase, the parties file written statements setting forth their narratives of the case. Each side files with the court a signed statement setting forth the facts upon which they claim to be entitled to a remedy (or defense). In the Discovery phase of the lawsuit, parties develop the evidence to support their case. Parties can send written questions (interrogatories) and may request documents to be produced. Parties can also depose witnesses. While objections can be lodged to the discovery requests, parties should know that, generally, any documents, including emails, letters of correspondence, internal communications, and notes are likely to be discoverable and will be produced in the lawsuit. Communications between client and attorney, however, are confidential and privileged. During each phase of the suit, there are natural points for settlement discussions. It is common to raise settlement negotiation after the close of Pleadings, or after an important deposition. Sometimes, an upcoming, expensive aspect of the lawsuit—such as a motion, or trial itself—will cause parties to negotiate a settlement in order to avoid the expense of the upcoming task. As a general rule of thumb, settlements are most efficient early. 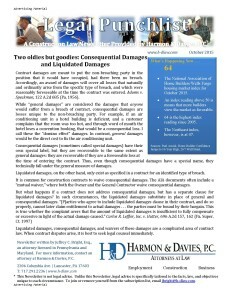 The purpose of settlement is to avoid the costs of litigation and to limit the exposure to a potentially bad verdict. If the lawsuit has already been litigated through Pleadings and Discovery, many of the litigation costs have already been incurred; thus, settling the matter at that point cannot avoid the costs. When a lawsuit is pending, it is important to seek legal advice immediately to determine the best legal arguments and proper management of the case.